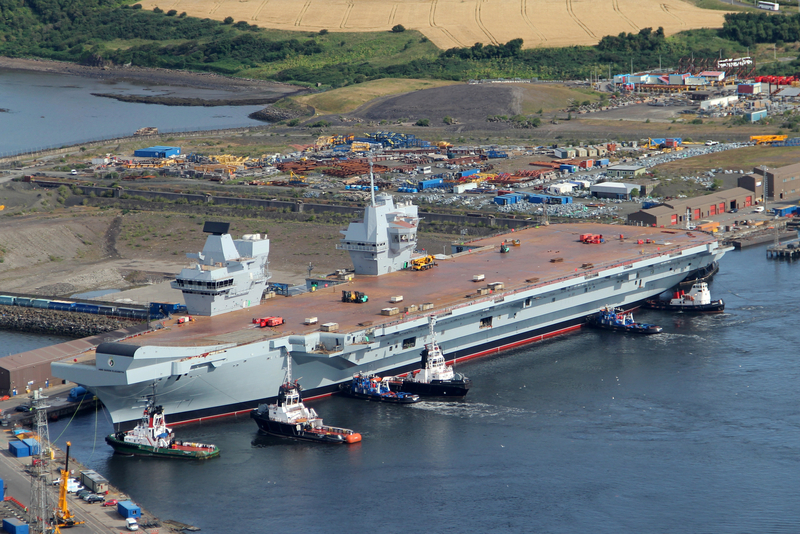 The Royal Navy’s largest ever warship HMS Queen Elizabeth is gently floated out of her dock for the first time in Rosyth, Scotland in July 2014. In an operation that started earlier that week, the dry dock in Rosyth near Edinburgh was flooded for the first time to allow the 65,000 tonne aircraft carrier to float. It then took only three hours this morning to carefully manoeuvre HMS QUEEN ELIZABETH out of the dock with just two metres clearance at either side and then berth her alongside a nearby jetty.